Now before you get too worked up it should be made clear that this is for the CW network in conjunction with their DC TV shows like Arrow, Flash etc and Ruby will be portraying Ms. Kane/Batwoman on the new crossover episode that's coming up soon. It's not for anything like the Birds of Prey movie etc. Ruby stated on Instagram: "The Bat is out of the bag and I am beyond thrilled and honored. I’m also an emotional wreck.. because this is a childhood dream. This is something I would have died to have seen on TV when I was a young member of the LGBT community who never felt represented on tv and felt alone and different. Thank you everyone. Thank you god." I, for one, am ecstatic. 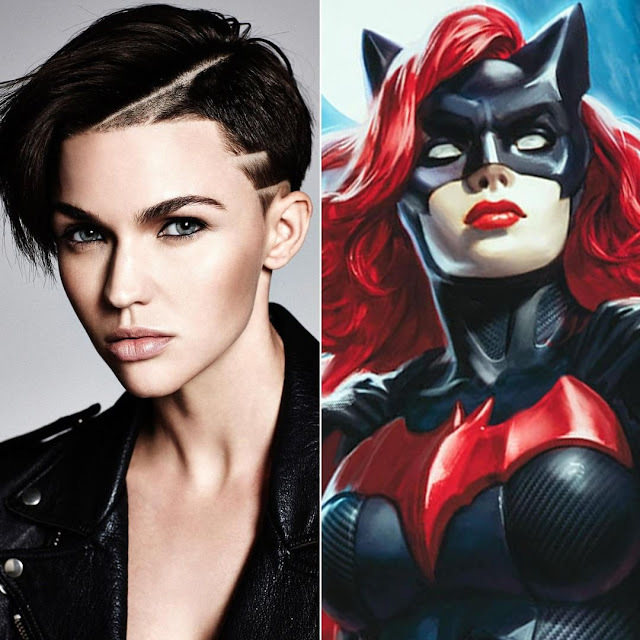 I love Ruby Rose and I love all Batman/Gotham characters. Can't wait!